Share it with style!. 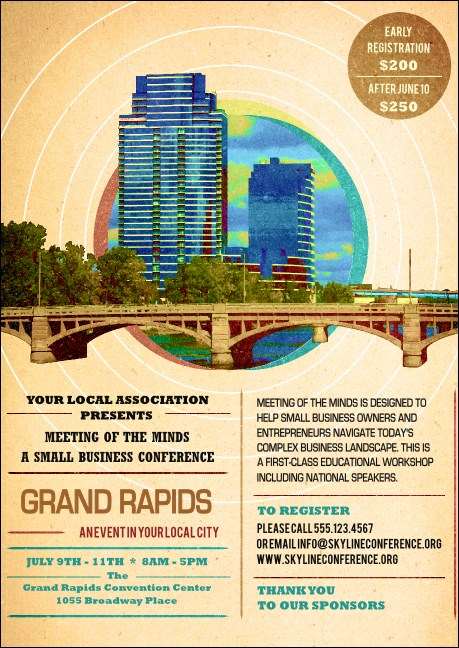 Hosting an event in Grand Rapids, Michigan? Make sure your collateral is as classy as the city itself. The Grand Rapids Postcard allows you to send news of your hometown event. With a stunning watercolor graphic of the city skyline, your message will not be missed. Looking for more artful event collateral? Look no further than TicketPrinting.com.